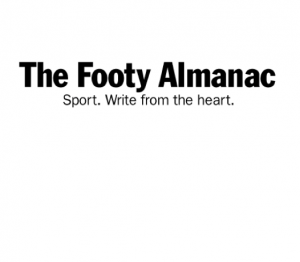 With the conclusion of the last of the 2018 byes we now head into the home stretch of the 2018 AFL season. 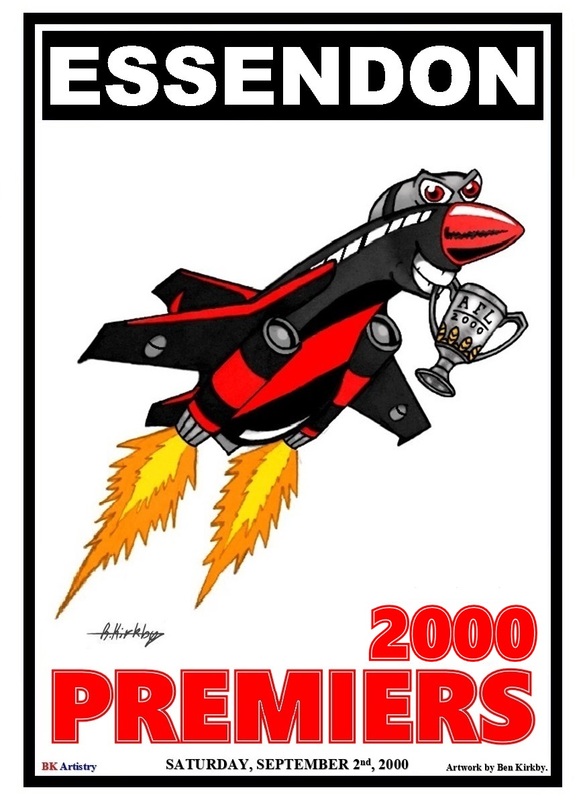 When finals once again come around in September I will have yet another line up of AFL premiership poster potentials done up for the 8 finalists. this isn’t the first time my art work has been presented on the Almanac, with my uncle Sam (AKA ‘Stainless’) having written articles detailing previous works of mine. 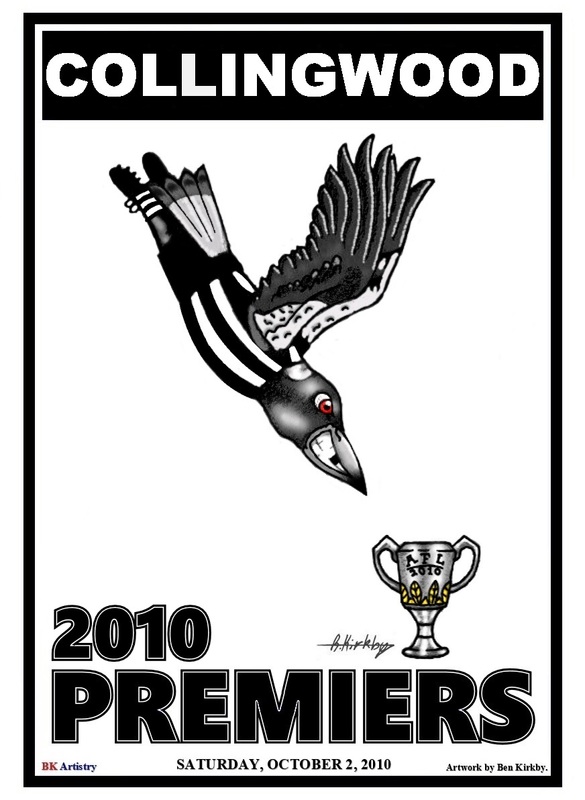 AFL premiership posters are a recurrent and purely enjoyment motivated artistic project I have taken up in the last couple of years since developing and interest in footy. 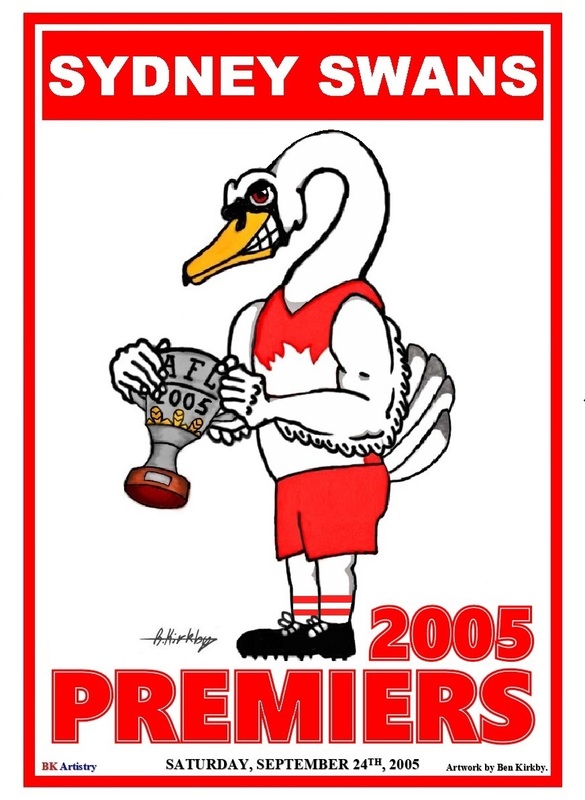 When the siren finally sounds on grand final day 2018 yet another lucky team’s poster will be added to the collection I have amassed. 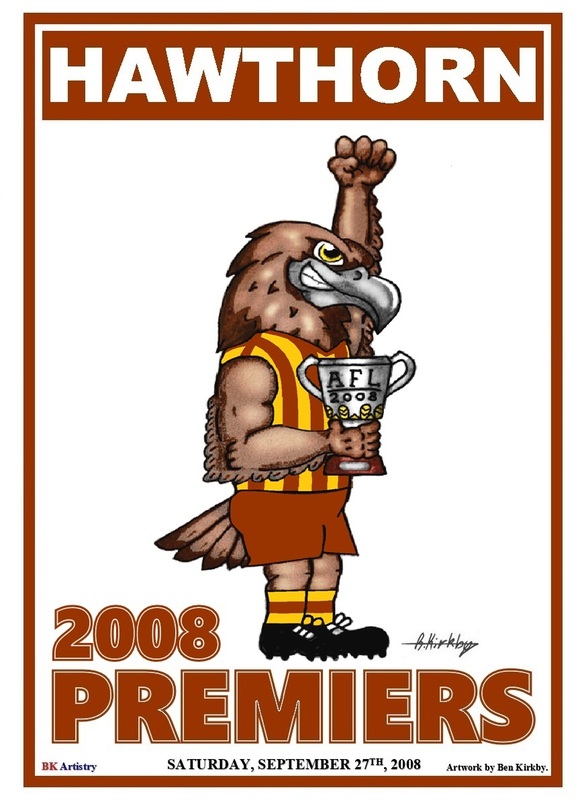 These posters depict all the AFL premiers since the turn of the millennium (though I did cut a few corners with some of the years). 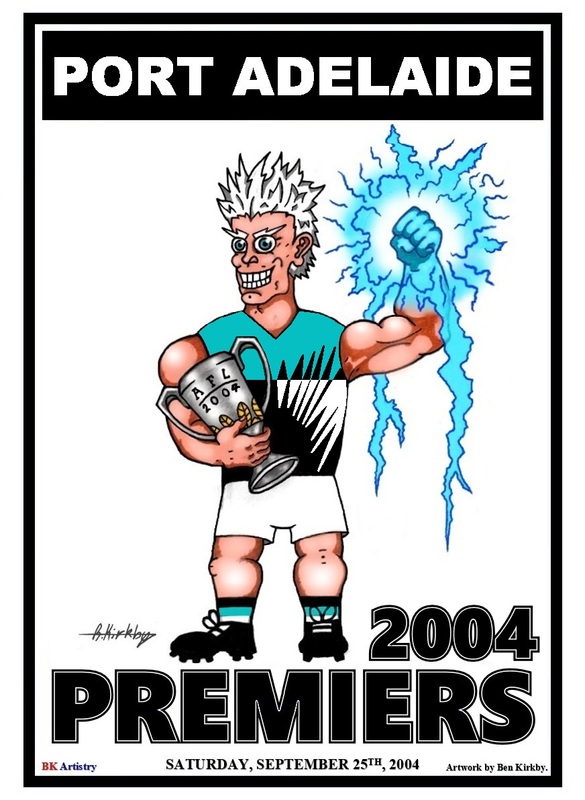 Most of the art for each of these posters was done as anticipatory standby content prior to the grand finals of 2016 and 2017 and has since been re-purposed for years previous. 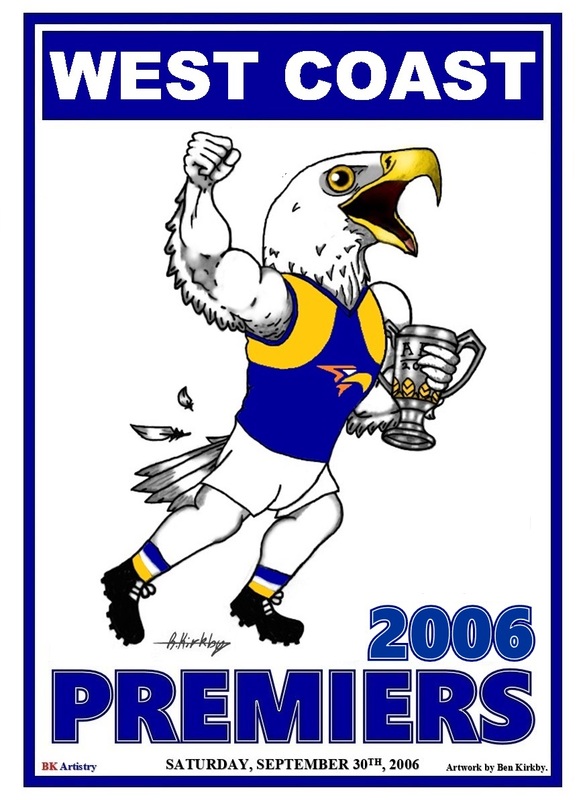 I took up this idea back in 2016 after developing an interest in AFL upon moving to Melbourne from country NSW. 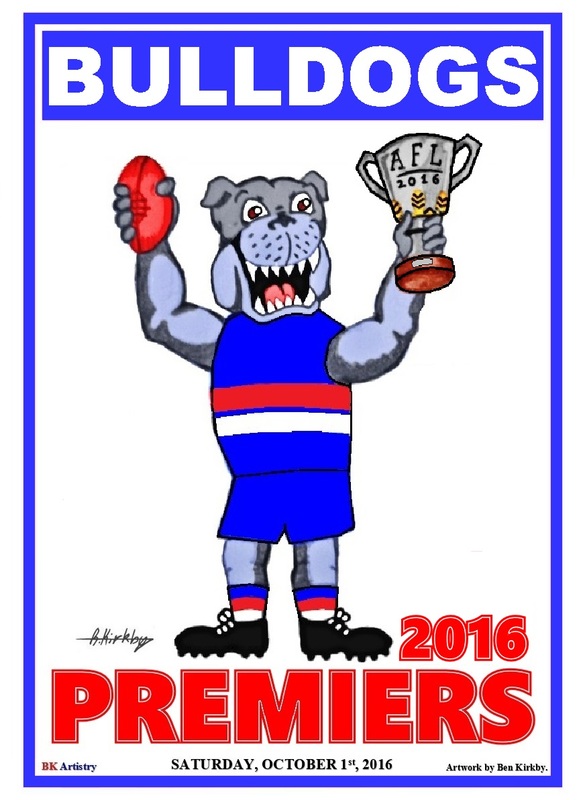 I am not the first person to have had this idea, with my inspiration coming from the annual Herald Sun posters of WEG and Mark Knight. Their work lends a significant influence to my own though I have attempted to run with my own unique style and approach. Here are each of the posters I have done for the years from 2000 to 2017. Well there you have it. Hope those of you reading this find them enjoyable. And who knows? 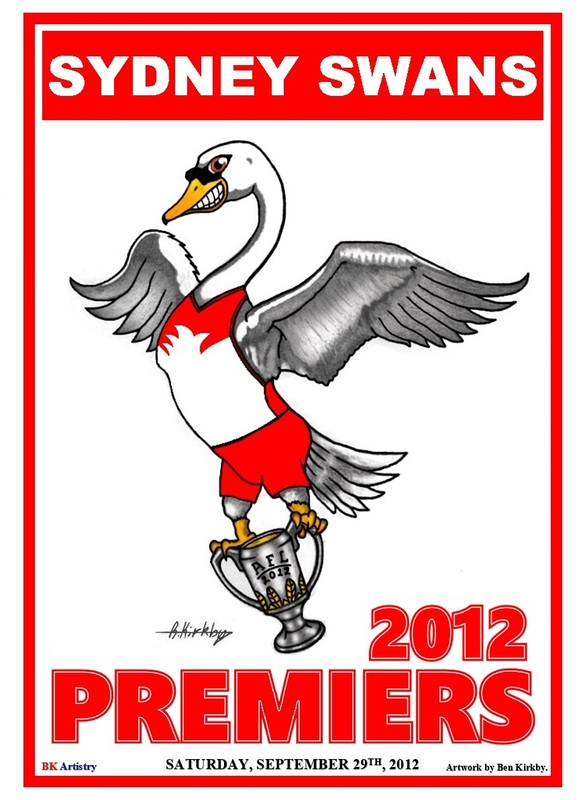 Maybe soon you’ll see your team’s mascot clutching the trophy. 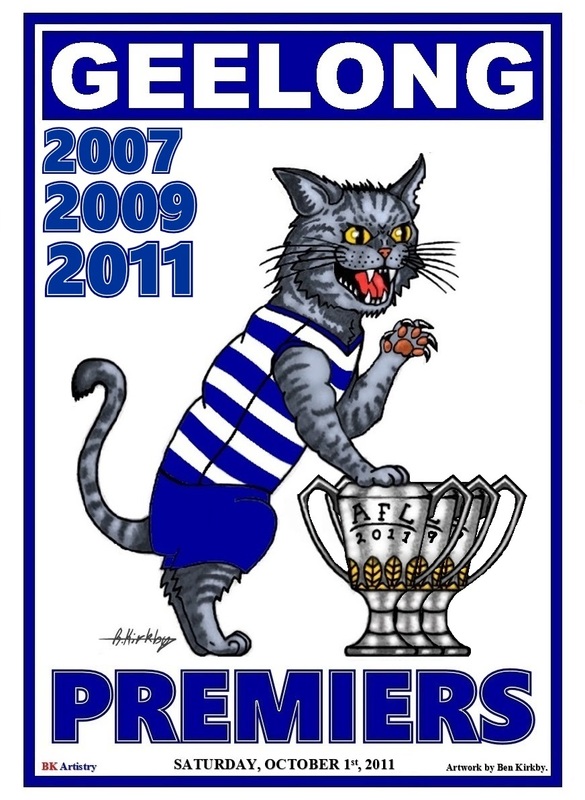 Ben moved to Melbourne at the start of 2016 from country NSW. Shortly after declaring his intent to live in Melbourne permanently, his uncle Sam suggested "If you're going to live here you've got to get along to the footy at some point". After seeing his first football match (Hawthorn vs Sydney, round 9 2016) Ben's interest in AFL took off in a way highly unexpected by both himself and his extended family. 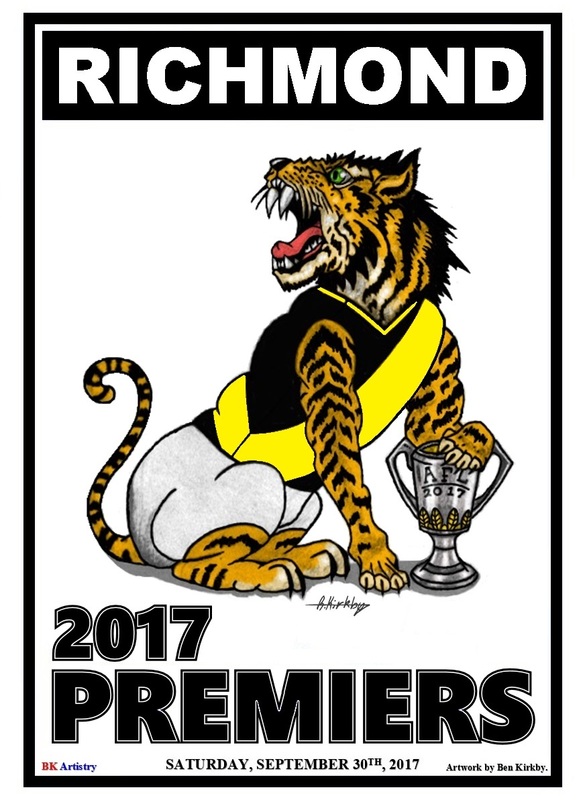 Ben's team alignment was uncertain for a time, seeing an interest taken primarily toward Hawthorn during much of the 2016 season, but during the finals series he declared his intent to follow the way of his cousins and uncle and become a Richmond Supporter, primarily on the grounds of them being the team he most wanted to see win, among a long list of other reasons. Needless to say the following year saw him very happy with his choice. Nice one Ben! And welcome to the Almanac in you own right. 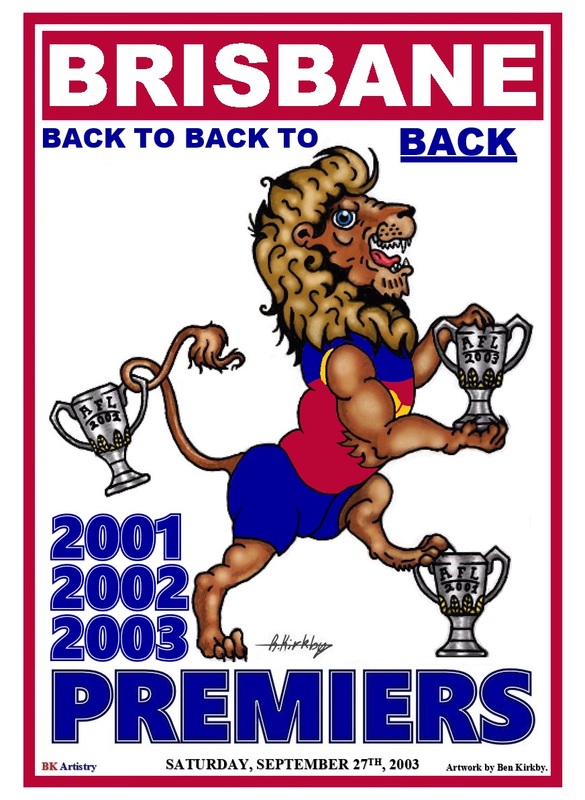 I love the mullet on the Lion although I’m struggling to think of any of that 2001-3 group that sported a similar coiffure. 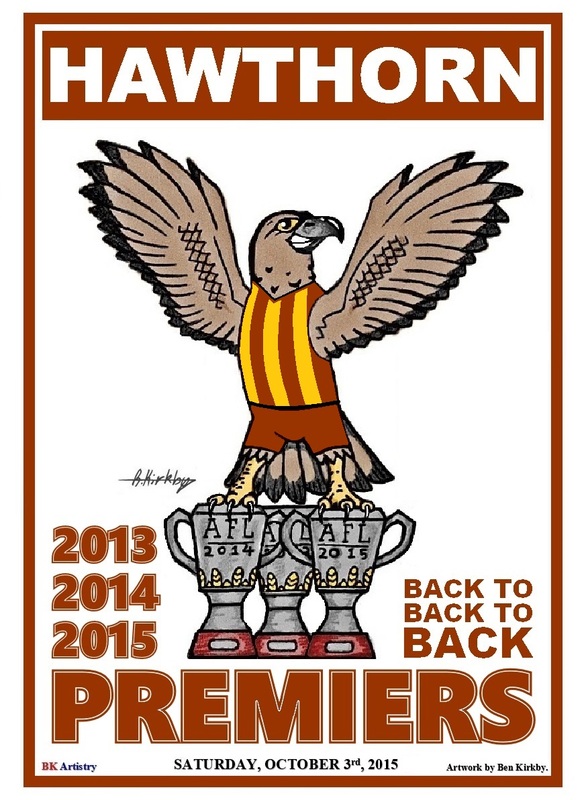 Perhaps it’s an acknowledgment of the Brisbane Bears, where mullets were plentiful! Looking forward to the 2018 collection. Nice work Ben! Love to have them in the biggest ART OF FOOTBALL EXHIBITION ever held in Australia. Thank you Bob, very much appreciated! I’ll drop you an email soon.